It’s so easy to confuse hopes and wishes. We want things to change, we want to win the lottery, we want to be in better shape. Are these hopes? Until we do something significant to actually alter circumstances, we’re wasting brain power on useless wishes. "Watch this short vlog then listen to the full podcast of the same name for more details." 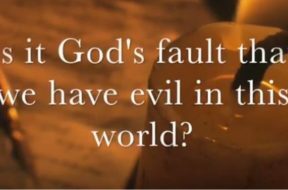 VIDEO: Moments that Matter – Is it God’s Fault We Have Evil in This World? God IS accountable for the evil in this world – BUT – that's less than half the truth on the matter! Watch this short vlog then listen to the full podcast of the same name. 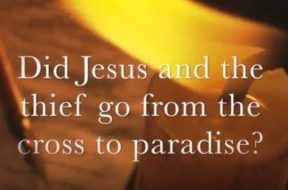 VIDEO: Moments that Matter – How Does Faith Actually Work? Faith brings life-changing trust. Faith is also a gift. There are three basic phases to Christian faith - what are they and how do they work? Watch this short vlog and then listen to the podcast of the same name. 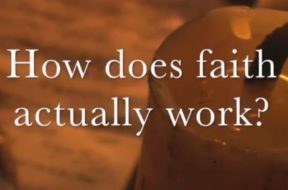 How Does Faith Actually Work? 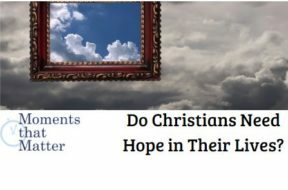 Is Christian faith the same as having trust in other people? How does it compare to hope? 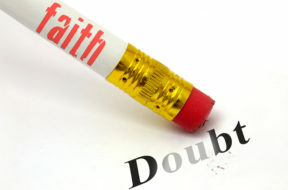 Are we given faith or does it develop? 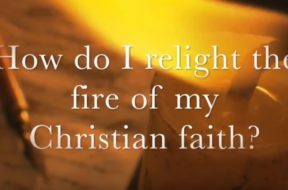 VIDEO: Moments that Matter – How Do I Relight the Fire of My Christian Faith? Sometimes we go along with everything running full steam ahead and we feel very close to the Lord. Other times, life gets in the way and our Christian world seems distant and less important. How do we get that zeal back? Watch this short vlog and then listen to the podcast of the same name to get that OOMPH back in your life! 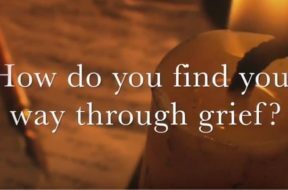 VIDEO: Moments that Matter – How Do You Find Your Way Through Grief? The world can be divided between two kinds of people: Those going through the grieving process because of some sort of traumatic loss, and those who know someone going through such a loss. We will all grieve at some point over people, animals, possessions or opportunities lost. Watch this short vlog about how to heal or help someone heal and then listen to the motivational podcast of the same name. 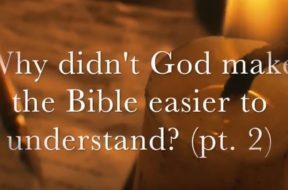 Why did God set up a plan where everyone does NOT get a fair chance to come to an understanding of the Bible in our present environment? What good could possibly come from such a strategy? Watch this 2-minute vlog for a short answer and then listen to the full podcast of Part II to this very provocative question! How Do You Learn to Truly Trust? …But do you trust me? Such a question pierces right down to the heart of any matter, for true trust is sacred. 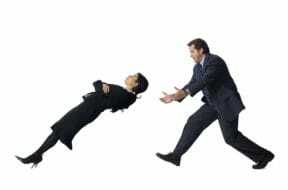 Any relationship - be it family, friends, business or otherwise - will thrive when trust is intact. With trust, growth, change and the conquering of obstacles are all not only possible but probable. With trust there is security. 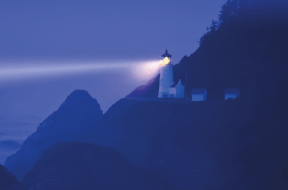 When trust is broken – and it can be broken in an instant with a single word or action – any relationship is headed for shipwreck upon the rocks of disappointment and despair. Rebuilding after such a shipwreck is a long and difficult process. So, how can we learn to trust the right things in a deep and secure fashion? Hope is perhaps the most vital element of life. With it one can do amazing things, overcome seemingly impossible odds, achieve remarkable results and find true and deep meaning in life. Without hope, we doubt, falter and crumble. Without hope we often leave the greatest achievements unachieved, the greatest discoveries undiscovered and the greatest opportunities unfulfilled. So, what is hope and how can we have it transform our lives?